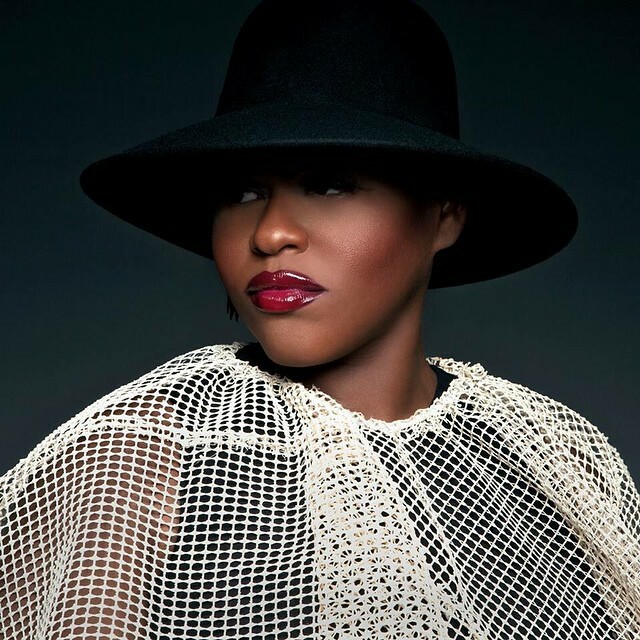 Stacy Barthe has unveiled the tracklisting for her upcoming debut album. The singer and songwriter is scheduled to release “BEcoming” on July 10 via Homeschool Records and Motown Records. Album producers include Malay (Frank Ocean, Alicia Keys), Oren Yoel (Tori Kelly, Miley Cyrus), Benny Cassette (Miguel, Keri Hilson), Chase N. Cashe (Drake, Lil Wayne) and Darhyl “DJ” Camper (Tamar Braxton, Nicki Minaj). On the songwriting front, “BEcoming” boasts alliances with John Legend (Fergie, Keyshia Cole), Claude Kelly (Tamia, Jessie J), Joi Campbell (Mary J. Blige, Christina Milian) and Corey “Chorus” Gibson (Rihanna, Kelly Rowland). In addition, fans of Barthe’s poignant songwriting should keep an eye on the next projects by Nico and Vinz [Warner Bros], Kandace Springs [Capitol], Brandy [MBK] and Kieran Alleyne [Virgin EMI]. Peep the tracklisting for “BEcoming” below. Clean Bandit have collaborated with Priscilla Renea on new material. “Four songs with @cleanbandit today. Pretty much a part of the band now,” Renea tweeted on Friday (May 29, 2015). It is yet to be known whether the session was intended for a future Renea release or Clean Bandit’s upcoming sophomore album. Notable songwriting credits by Renea include Fifth Harmony’s “Worth It” [Syco Music], Mariah Carey’s “Infinity” [Epic Records], Demi Lovato’s “In Case” [Hollywood Records] and Little Mix’s “Turn Your Face” [Columbia Records]. She also collaborated with top producers including Salaam Remi (Usher, Amy Winehouse), Eric Hudson (Brandy, K. Michelle), Dr. Luke (Tinashe, Britney Spears) and Benny Blanco (Miguel, Ed Sheeran). Meanwhile, Clean Bandit’s debut album “New Eyes” – featuring hit singles “Rather Be,” “Extraordinary,” “Come Over” and “Real Love” – is now available for download via iTunes in partnership with Atlantic Records. That collection also boasted guest appearances and songwriting contributions from Jimmy Napes [Polydor Records], MNEK [Virgin EMI Records], Rae Morris [Atlantic Records] and Javeon [PMR Recordings]. Natalie La Rose has announced the title for her new single. 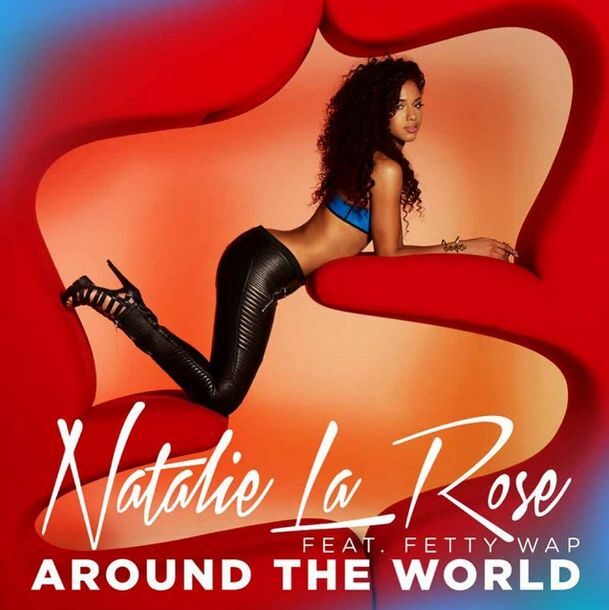 The Dutch singer and songwriter christened “Around the World” – featuring Fetty Wap – as the next promotional cut from her upcoming project. “Around the World” was co-written by Savan Kotecha and Rickard Goransson, who are also responsible for Tori Kelly’s “Nobody Love” [Capitol Records] and Jessie J’s “Bang Bang” w/ Ariana Grande & Nicki Minaj [Republic Records]. Production duties on “Around the World” were handled by Ilya KnocDown, whose other credits include Taylor Swift’s “Bad Blood” f/ Kendrick Lamar [Big Machine Records] and Jennifer Lopez’s “First Love” [Capitol Records]. The track also serves as the follow-up to Jeremih-assisted “Somebody,” which peaked to number ten on the US Billboard Hot 100 Singles Chart. Meanwhile, La Rose’s as-yet-untitled project is scheduled to hit stores and digital outlets later this year under Roc Nation / IMG / Republic Records. 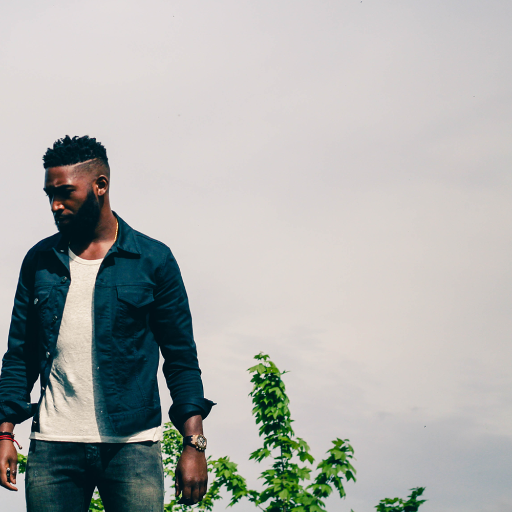 Tinie Tempah has unveiled the music video for his new single online. The British rapper posted the visual clip for “Not Letting Go” – featuring Jess Glynne – to his official YouTube channel on Friday (May 29, 2015). “Not Letting Go” – available for download from June 21 via iTunes (UK) – was written by Jamaican recording artist Krishane along with Janee “Jin Jin” Bennett (Lion Babe, Little Mix) and Bless Beats (Melissa Steel, Sasha Keable). The track also marks the first promotional cut from Tinie Tempah’s upcoming third album under Disturbing London / Parlophone Records. Furthermore, “Demonstration” featured guest appearances from Emeli Sande [Capitol Records], Laura Mvula [RCA Records], Paloma Faith [Epic Records], Big Sean [Def Jam Recordings] and Ella Eyre [Virgin EMI Records]. Watch the music video for “Not Letting Go” below. The experimental soul duo posted the Lucas McGowen-directed clip for “Don’t Break My Heart” to their official YouTube channel on Friday (May 29, 2015). Lion Babe’s self-titled EP – featuring previous promotional cuts “Jungle Lady,” “Treat Me Like Fire” and the Childish Gambino-assisted “Jump Hi” – is now available for download via iTunes and all other digital outlets. As mentioned in earlier posts, Lion Babe – consisting of members Jillian Hervey and Lucas Goodman – will release their debut album later this year via Outsiders Recorded Music in partnership with Polydor Records (UK) and Interscope (US). The still-untitled project is confirmed to boast collaborations with Pharrell Williams (Usher, Kelly Rowland), Jeff Bhasker (Beyonce, Alicia Keys), Dave Sitek (Kelis, Sam Dew) and Joel Compass (FKA twigs, Laura Welsh). On the songwriting front, Lion Babe has teamed up with Amanda Ghost (Shakira, Jennifer Lopez), Makeba Riddick (Brandy, Christina Milian), Jin Jin (MNEK, Jess Glynne) and Andrew Wyatt (Sky Ferreira, Charli XCX). Watch the music video for “Don’t Break My Heart” below. 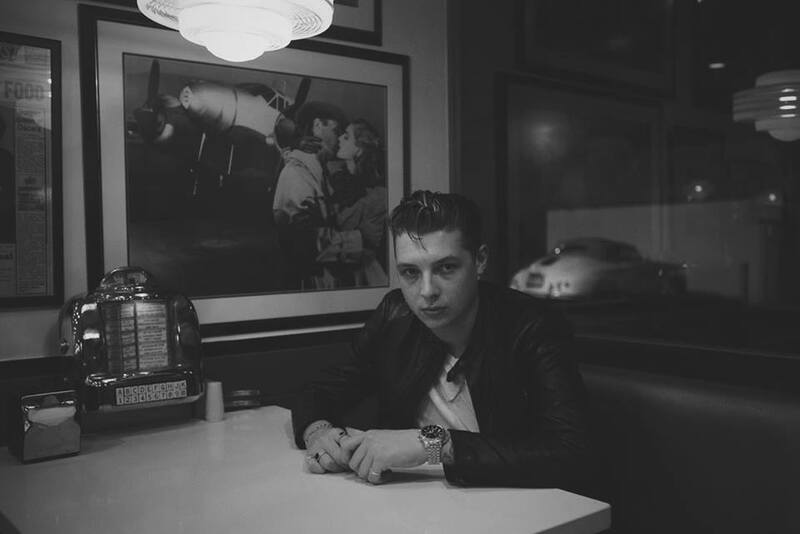 John Newman has announced the title for his new single. The British singer and songwriter christened “Come and Get It” as the first promotional cut from his upcoming sophomore album. “Come and Get It” was written by Newman along with Greg Kurstin, whose recent credits include Years and Years’ “Shine” [Polydor], Charli XCX’s “Famous” [Atlantic] and Kelly Clarkson’s “Heartbeat Song” [RCA]. In case you didn’t know, Newman also co-wrote Jessie J’s “Fire” [Republic], Olly Murs’ “Stick with Me” [Syco Music], Calvin Harris’ “Summer” [Columbia] and Rudimental’s “Feel the Love” [Black Butter]. Meanwhile, his second studio collection is scheduled to hit stores and digital outlets later this year under Island Records. Watch the music video for “Love Me Again” below. Kelly Clarkson has released the music video for her new single online. The singer and songwriter posted the Natalia Mroczka-directed clip for “Invincible” to her Vevo channel on Friday (May 29, 2015). “Invincible” was co-written by Sia, whose other credits include Beyonce’s “Standing on the Sun” [Columbia Records], Britney Spears’ “Passenger” [RCA Records] and Katy Perry’s “Double Rainbow” [Capitol Records]. Production duties on “Invincible” were handled by Jesse Shatkin (Kylie Minogue, Ricky Martin), Warren “Oak” Felder (Jason Derulo, Chris Brown) and Steve “Aceface” Mostyn (Jennifer Lopez, Alicia Keys). Clarkson’s latest album “Piece By Piece” – featuring previous promotional cut “Heartbeat Song” – is now available for download via iTunes in partnership with Sony Music Entertainment / RCA Records. Watch the music video for “Invincible” below.